Sewing or sitting up in bed reading a good book. I made fleece scoodies in my shop 2 winters ago. They were fun to make and fun to wrap around my manequin and photograph her. Ha! I think Niftyknits meerkats are so sweet! My favourite shop is actually any shop on etsy that sells fabric. I really love looking for shops that are selling the cute Oriental prints. Ofcourse I am always looking for shops that are selling their scrap bits and pieces. I love variety. What has been the most useful lesson you've learnt so far that you'd like to pass on to our readers? Go to FickleFaerie and check out her new snack and sandwich pouchs, leave a comment after this blog post on what kind of prints you would like to see - it's as easy as that! We will use random.org to choose the winner and announce it here in one week's time, and the prize will be posted directly from FickleFaerie. Seemples! Hi there June, nice to meet you the Nifty Knits way. Super giveaway - but drats, Etsy is down for maintenance just now. Though have visited your shop before and your bags are neat. Hi June! Can't believe how much we share - I love the sound of my cats' purrs, reading in bed, sewing, being ecofriendly... Was great to read about you! I love your spider web bags, but all of your bags look so well made! I think in your lunch bag line I would like to see more for men. Your bags are so great! What a way to go green in style :) I love the Owls Everywhere bag the best, but they are all so great! Great interview! I can smell the anise as I type. Your pouches are great for kids! I think using some of the popular cartoon characters would be very appealing to kids and moms. 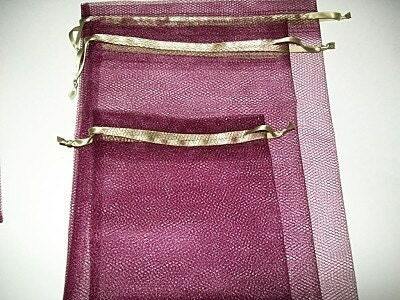 Plain pouches for adults might be nice too. Enjoyed the interview! Great bags! I think it would be nice to have some bold designs for women, either floral or abstract on dark backgrounds. what a nice interview! I love your bags! Nice to get to know you better June!! You have a great line of snack and lunch....and halloween bags too! rofl jane - meerkat with moustache print with dangly meerkat on the side, I htink. I am a daisy person. LOL Give me a yellow background with traditional white daisies and I AM a Happy daisy. Fabulous bags!! In the sandwich and snack bags - yes I think I would like to see more options for adult men and women. Maybe some sports teams fabric for the guys, and floral or pretty solids for the women. I agree, a great (and Nifty fun)way to get to know you better! I think I liked the stretchy cats the best in the line you have now but agree, would love to see some solids and prints too and totally agree about a daisy pattern, that would be fabulous! I love the sports team idea from, the3maries. I also think maybe, camiflauge. If you really want to go wild, some homemade screen print would be fun, with some great sayings on them. 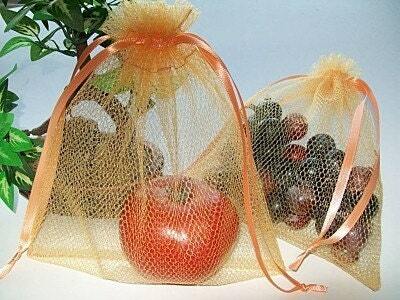 You know I love your produce bags! Your sandwich and snack bags are great. I would LOVE to see some "Recycle" or "Save the Planet" fabric used. I'd love to get some snack bags since Tasha is starting school! Oh, I don't have any produce bags and would LOVE some! i'd love to see more stripes or polka dot fabric patterns. stripes are always my fave! 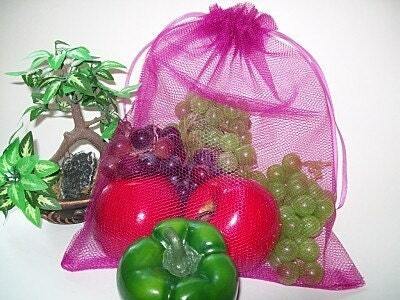 I love using "green" produce and snack bags. FickleFaerie has a wonderful variety of patterns already, but I would fall in love with woodland theme bags (woodgrain, squirrels, deer, toadstools, etc). I think most of my snack and sandwich bags are kid geared for now because of the start of school. I do have some super "food" themed fabric i am trying to get made up. I have toadstools and some pretty lady prints as well as animalprints..there just isn't enough time in a day. But this is giving me the push I need! I also have some very slightly used fabrics that I plan to recycle into pouches as well...just for daisy,lol. 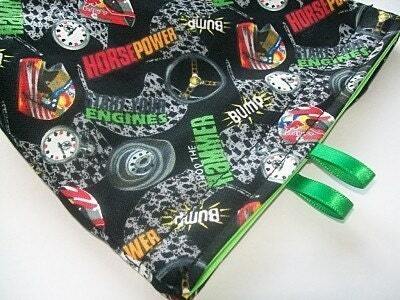 So keep checking back weekly, usually the weekend is when I make new pouch designs. Since I love animals, I'd say critter prints! Great interview! Hope you'll check it out! I follow June too on Twitter! Shout out to a fellow Ontarion! But for some reason I thought you were in Renfrew? Guess my mind is out of wack with that memory! I love the Kelly Green bags, but I am sooo impressed by the skull pouches too. I think I know where my Holiday Shopping is going! I like random words. and collage like patterns.